Melissa & Jon are the kind of couple every photographer dreams of photographing: fun & vibrant, with a love story as sweet as their personalities. 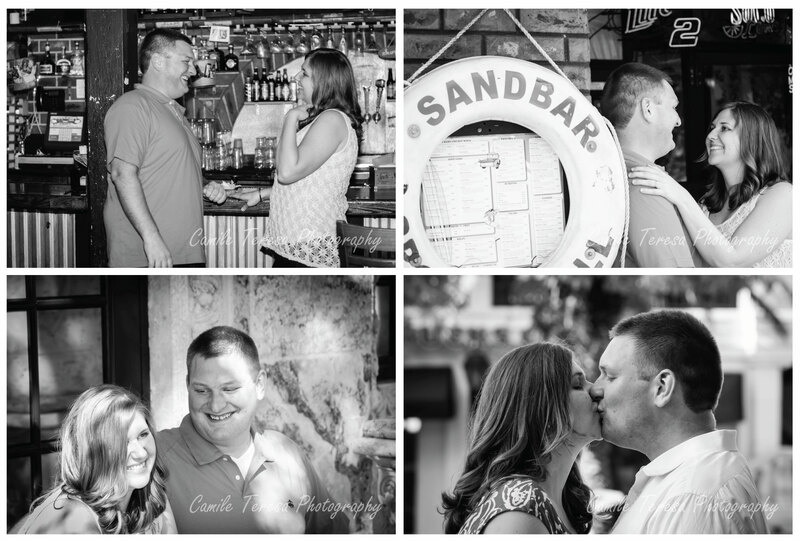 Melissa & Jon met when they were both out for a night of enjoyment in Coconut Grove (a small neighborhood in Miami known for its unique restaurants, bars, and culture) at one of the most famous local bars, Sandbar. 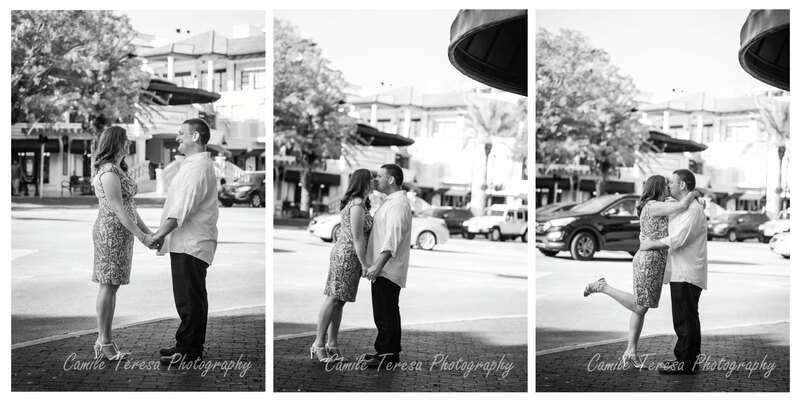 For their engagement shoot, we thought it would be fun to spend the afternoon revisiting the places where they first met as a celebration of their love. 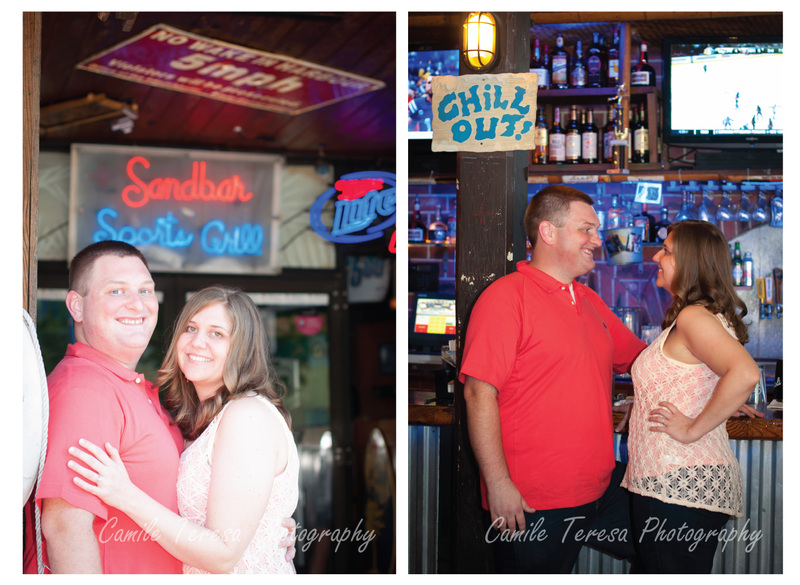 We started the session at Sandbar, whose owners and patrons were more than happy to humor us by letting Melissa & Jon take some photos in the exact location where they met: at the bar. Melissa & Jon’s personality really showed as we continued to another local bar, Moe’s, which is known for its “hunting lodge” decor. 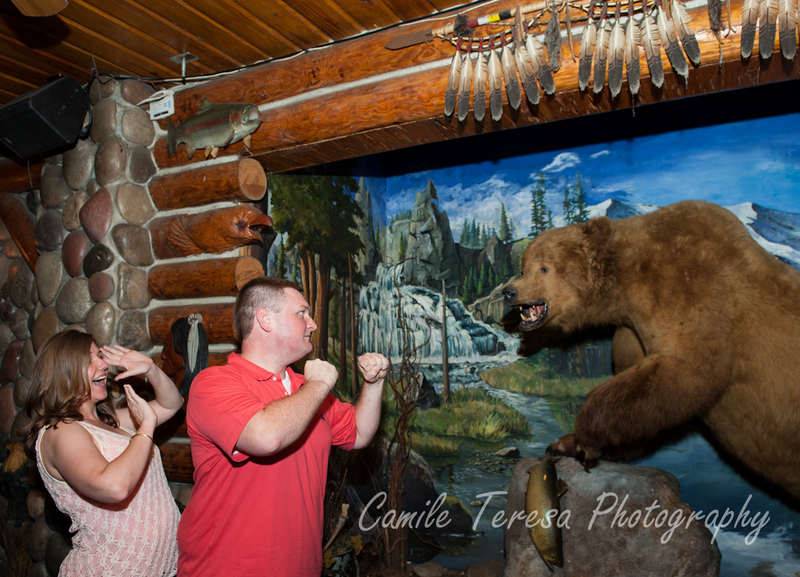 This couple couldn’t help but take a photo with the famous bear! 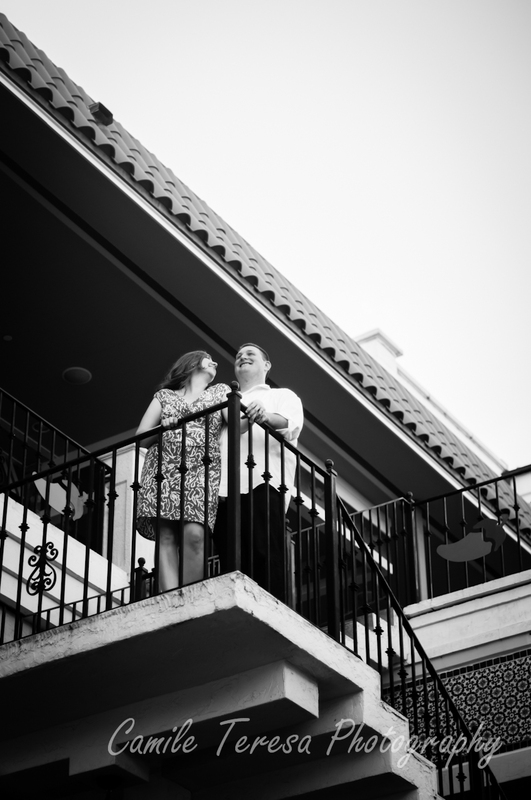 The Grove is also known for its lush greens and eclectic culture and this served as the perfect backdrop for more romantic photos that gave Melissa + Jon the chance to express just how much they love each other. This is by far my favorite series of the day. This exact spot is where Jon kissed Melissa for the first time! 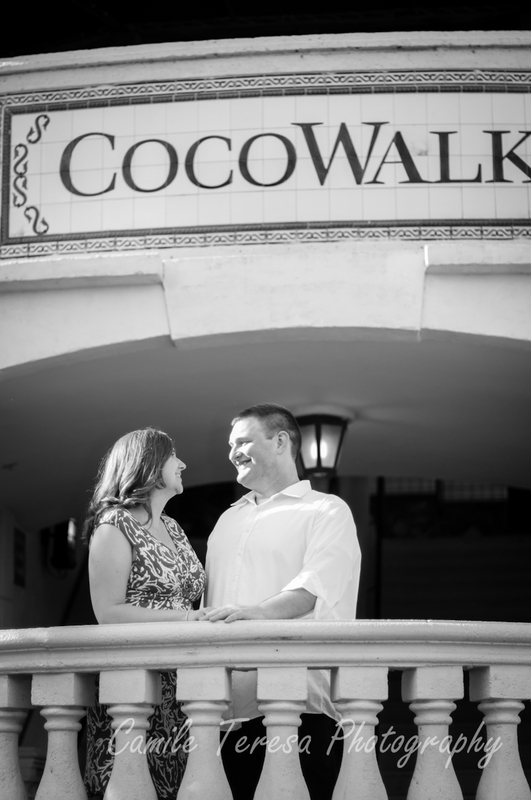 It was touching to allow them to relive that moment together in front of the iconic center of the Grove, CocoWalk. 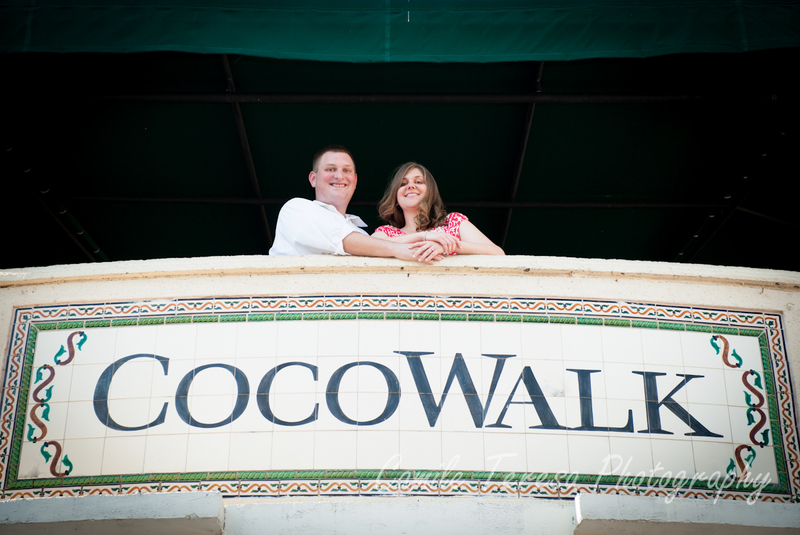 Lastly, we spent some time in CocoWalk capturing the vibrancy of their love and the atmosphere. 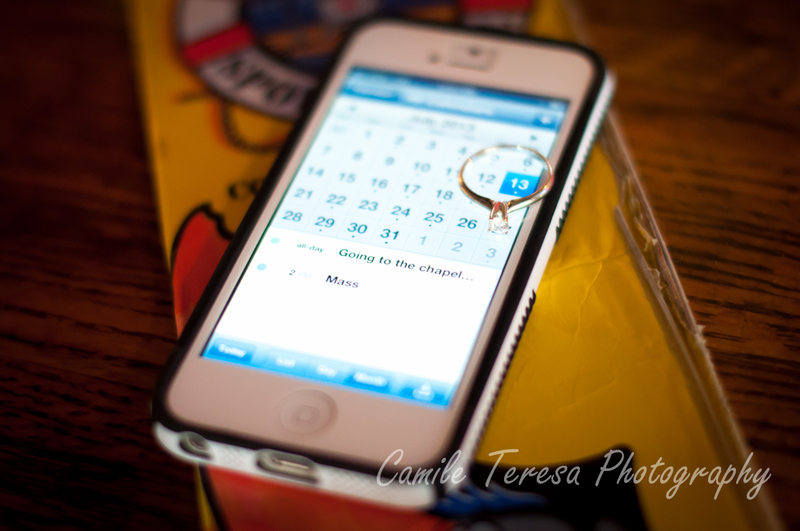 Of course we had to get a shot of that ring! 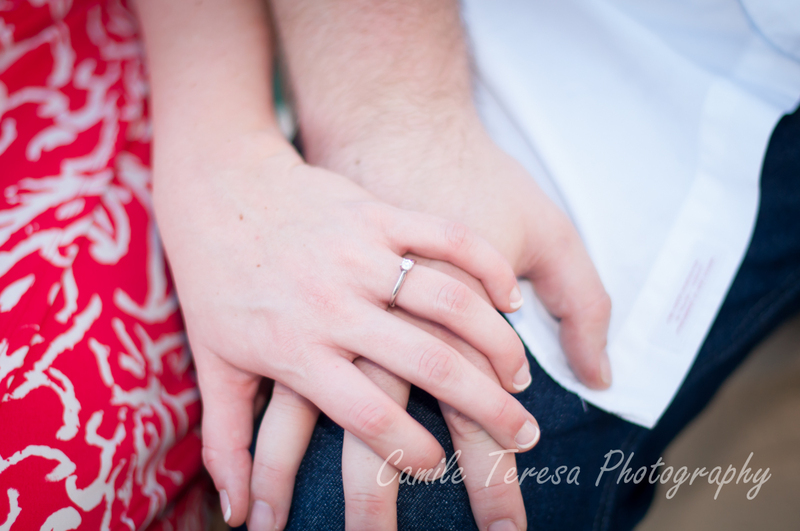 Melissa & Jon were such a joy to work with and I can’t wait to shoot their wedding in July. I know that it will be filled with fun and love, just the way they are. 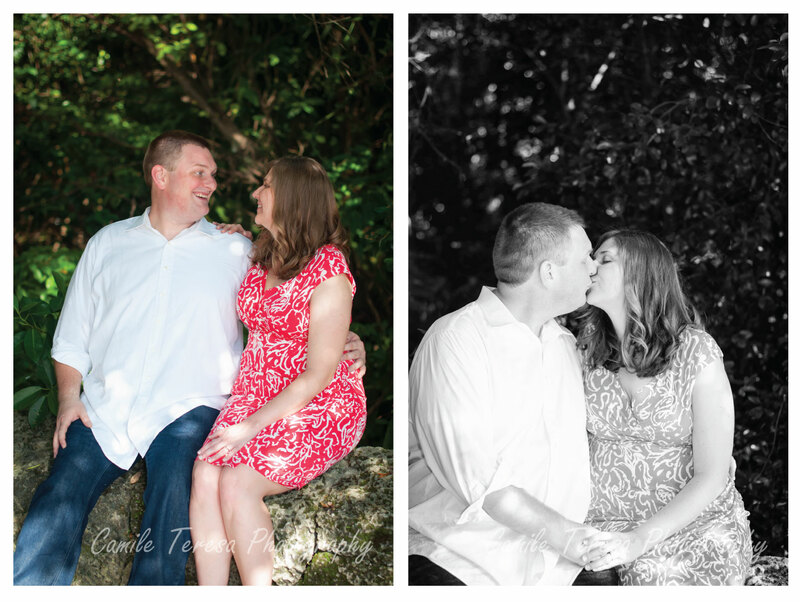 Thank you Melissa & Jon for allowing us to capture your love!